I always say that if you get a chance to chat with a professional, you should definitely do so -- especially if it's free to chat. If you remember, I've gotten a chance to talk to celebrity wedding planner David Tutera (check that out here) and caterer and cookbook author Peter Callahan (you can check that out here). 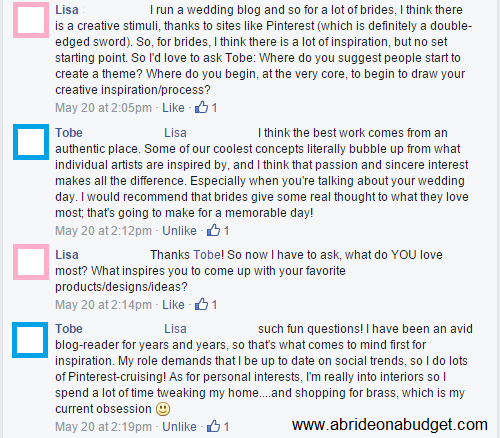 BRIDAL BABBLE: How did you start to create a wedding theme?